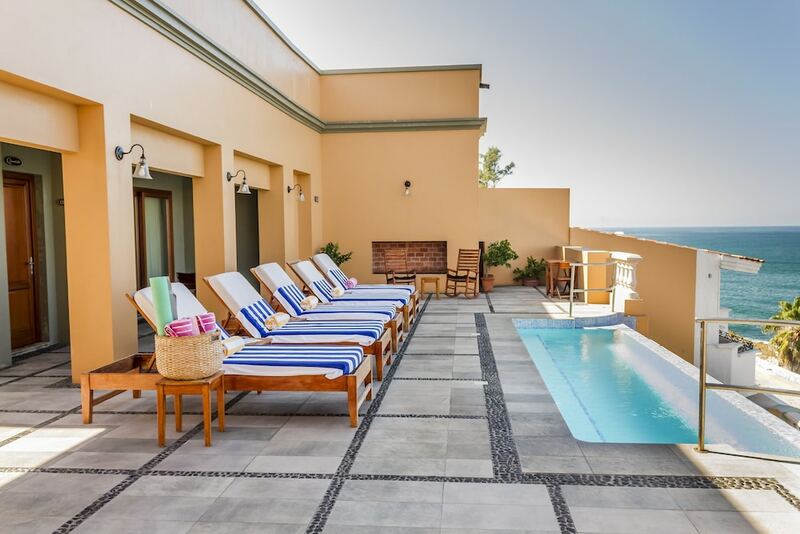 With a stay at Casa Lucila Hotel Boutique, you'll be centrally located in Mazatlan, steps from Olas Altas Beach and 9 minutes by foot from Plaza Machado. This 4-star hotel is 4.4 mi (7 km) from Golden Zone and 1.3 mi (2.1 km) from Playa Norte. Make yourself at home in one of the 8 air-conditioned rooms featuring flat-screen televisions. Complimentary wireless Internet access keeps you connected, and cable programming is available for your entertainment. Bathrooms have showers and designer toiletries. Conveniences include safes and desks, as well as phones with free local calls. Be sure to enjoy recreational amenities including an outdoor pool and bicycles to rent. Additional amenities at this hotel include complimentary wireless Internet access and concierge services. Enjoy a meal at the restaurant or snacks in the coffee shop/café. The hotel also offers room service (during limited hours). Wrap up your day with a drink at the bar/lounge. Full breakfasts are available daily from 7:30 AM to 1:00 PM for a fee. Featured amenities include dry cleaning/laundry services, multilingual staff, and luggage storage. Planning an event in Mazatlan? This hotel has facilities measuring 75 square feet (7 square meters), including conference space. The hotel offers a restaurant and a coffee shop/café. A bar/lounge is on site where guests can unwind with a drink. Public areas are equipped with complimentary wireless Internet access. Event facilities measuring 75 square feet (7 square meters) include conference space. This business-friendly hotel also offers an outdoor pool, spa services, and a library. Casa Lucila Hotel Boutique is a smoke-free property. Full breakfasts are available for a surcharge and are served each morning between 7:30 AM and 1:00 PM. Casa Lucila Hotel Boutique has a restaurant on site. Rollaway/extra beds are available for MXN 450.00 per night. Reservations are required for massage services. Reservations can be made by contacting the hotel prior to arrival, using the contact information on the booking confirmation. Children 15 years old and younger are not permitted at this property.